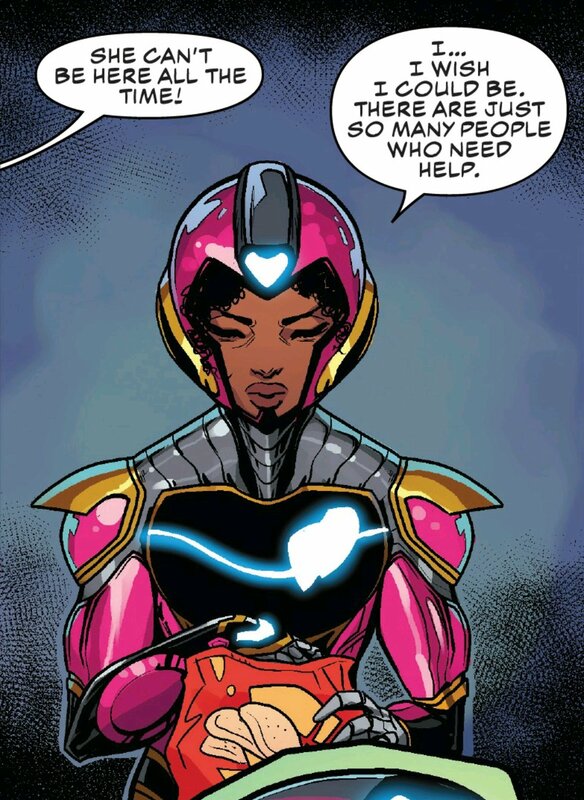 I’m a Riri newbie, but the first two issues of this series have nicely laid out her character, and what makes her different from other heroes. 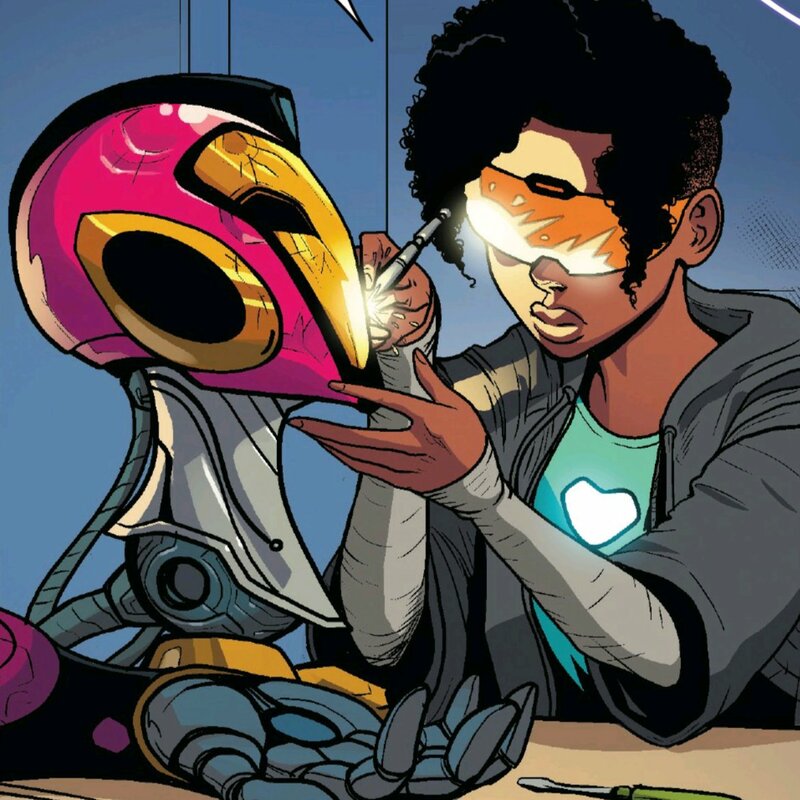 I particularly like the thread of her being the kind of person who looks for practical technical solutions before softer human ones – it seems like this series is building a supporting cast around Riri to remind her about the importance of the latter. 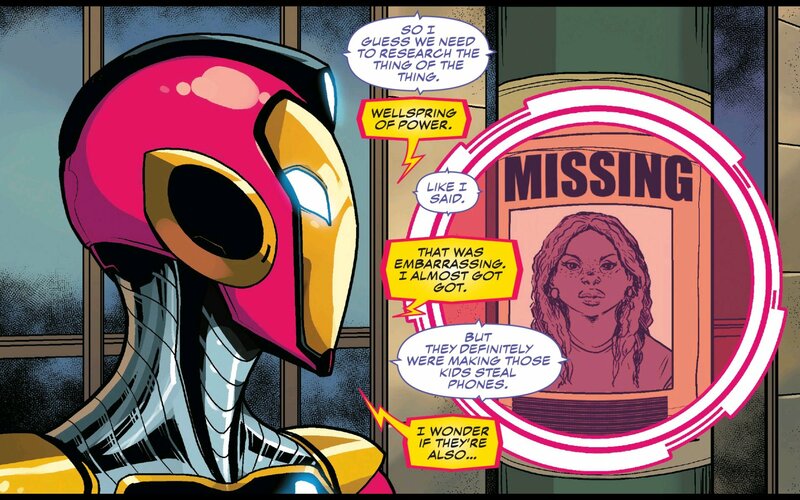 She’s obviously got that Iron Man legacy, but the Riri here reminds me more of Spider-Man. Smart, driven kid trying to balance their double life, feeling guilty about not being able to save everyone. Also like Spidey, she’s the hero that sometime has to take public transport home from a mission. 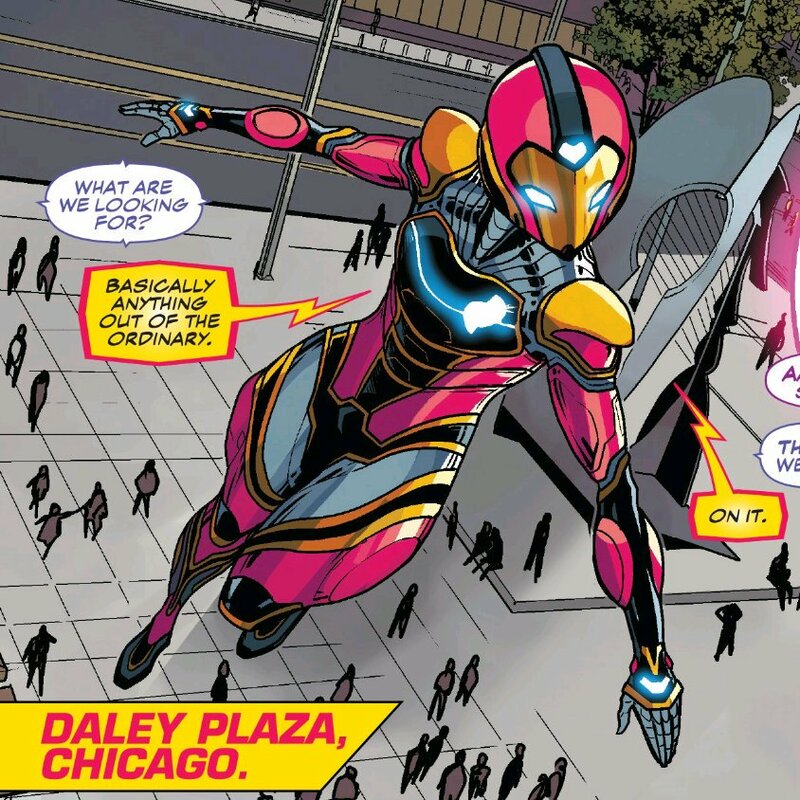 Also, I can see the problems with giving her the Ms. Iron Man suit: pink, form-fitting, with a heart-shaped symbol… but this team absolutely makes it work. 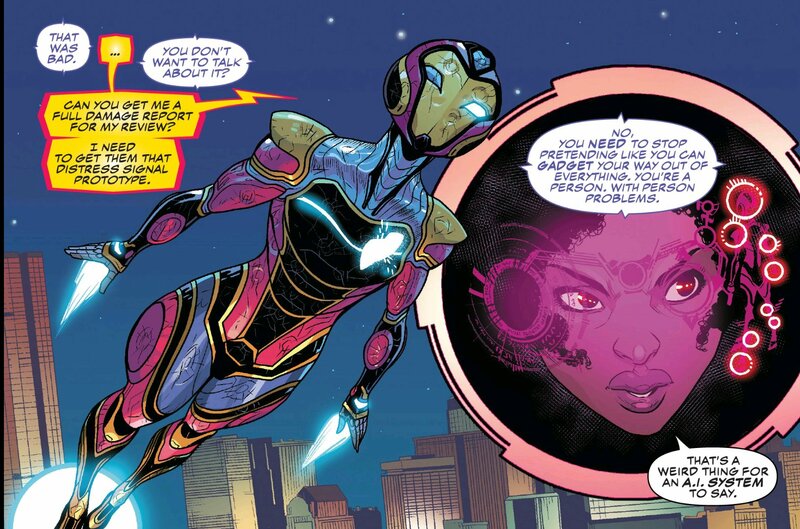 Ironheart looks cool. Speaking of the art team… I love how Vecchio rocks an inset panel. 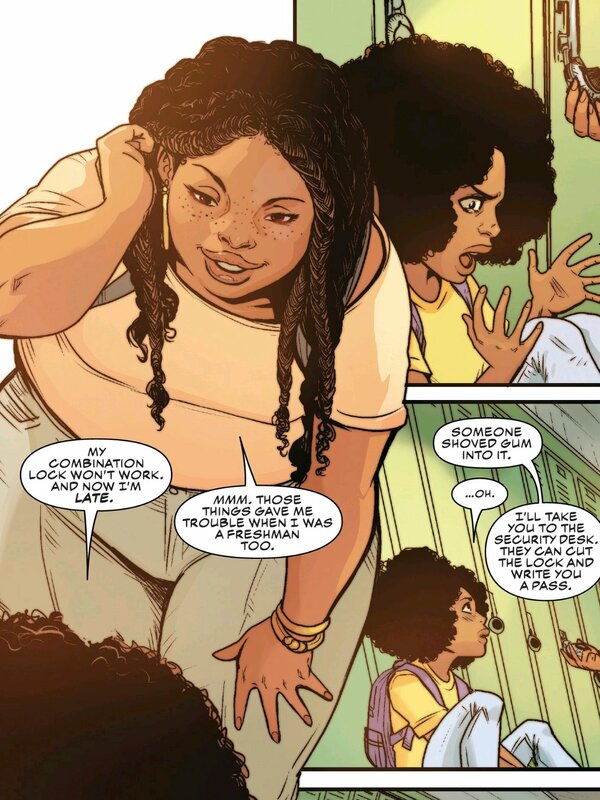 That last one here is especially smart: it’s tucked away at the bottom right, so it leads you neatly into the page turn – Riri is already breaking away from this scene and into the next, so we naturally follow her. 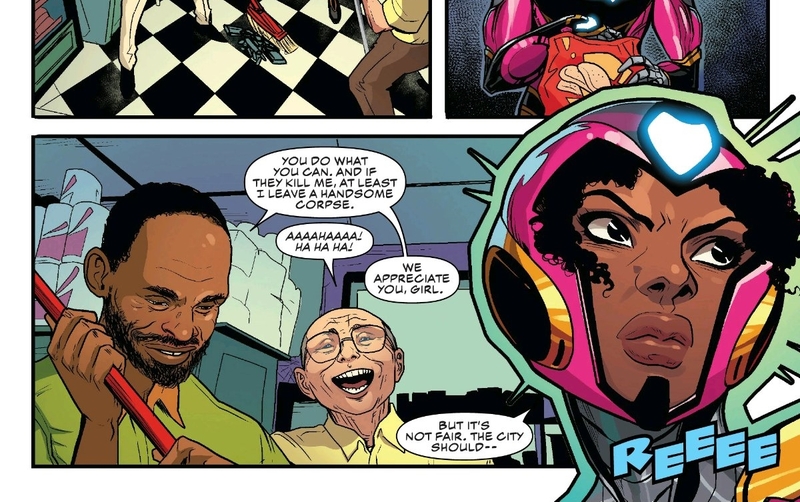 Also great is how the issue, like Riri, splits its time between Chicago (home) and Boston (school), and manages to make the two cities feel distinct. 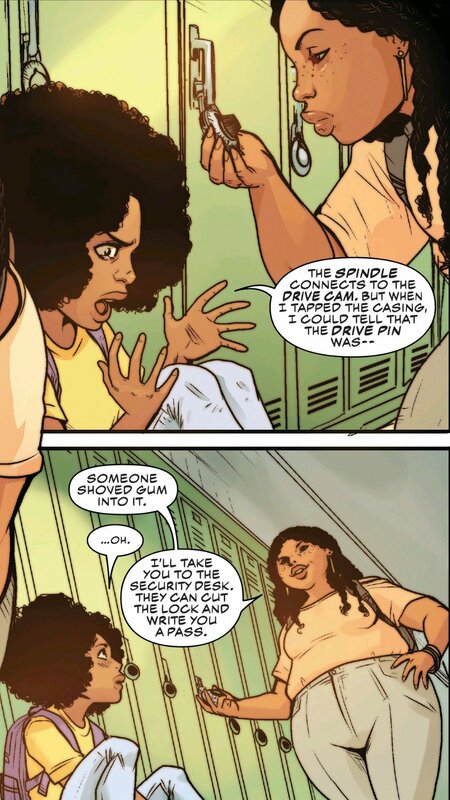 My single favourite thing about the issue, though, might just be the character design for Daija Hamilton. 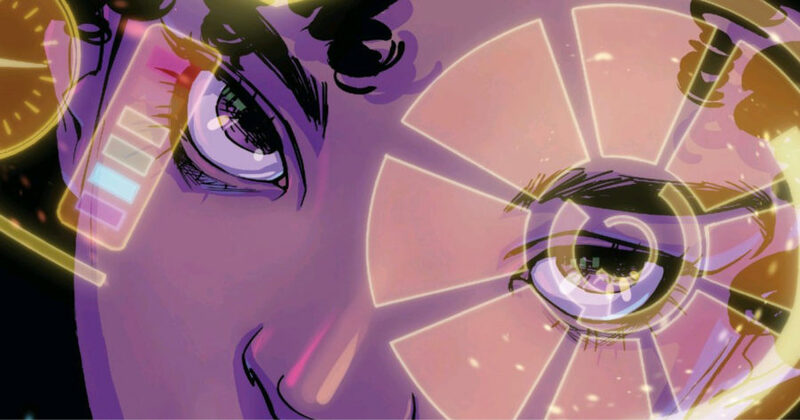 I’m not sure I’ve ever seen someone who looks like this in a Marvel comic before. I hope she sticks around.